enter to win a Dark Chocolate Ganache. hopefully you are the winner. 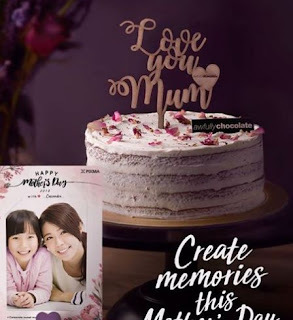 how To enter: simply purchase Awfully Chocolate Singapore's newly launched Mother's Day Cake - the limited edition Dark Chocolate Ganache Black Rice Cake - at 313@Somerset to receive a customized Canon PIXMA print and exclusive greeting card designed by us!